One of the most difficult parts about knife collecting is running into the divide between a quality knife, your budget, and something which also looks nice. You can find a plethora of knives for fewer than $30 on Amazon, but they won’t always be good. Likewise, you can spend thousands of dollars on a single knife from a high-end manufacturer, but it isn’t necessarily better. For many, the middle ground is the ideal. And this is where The James Brand comes in: making top quality knives with attractive designs and affordable prices. I’ve gone over knives in general here and also touched on the Chapter knife from The James Brand — a true gentleman’s EDC knife. The Folsom is the latest offering from The James Brand. 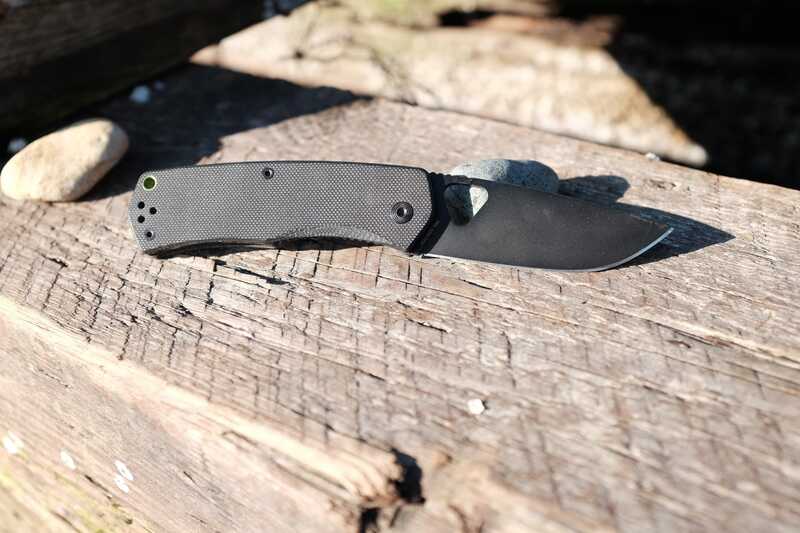 The Folsom is meant to be The James Brand’s entry level knife, which uses a unique steel and a very attractive design to grab your attention. All the Folsom’s features lead you to the $99 price point. At this price, you could build an arsenal of knives from Amazon, but none of them will look as good — or perform as well — as The James Brand Folsom. 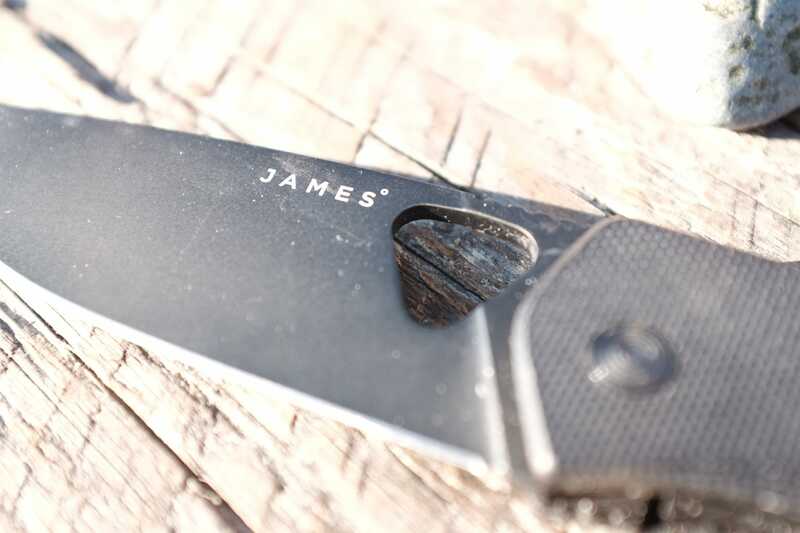 The James Brand Folsom — The James Brand’s newest and least expensive knife. The Folsom comes in a variety of looks: Black + Black (my favorite), Bone + Black, Blue + Stainless, Black + Stainless, and Electric Moss + Stainless. No matter which color combination you choose, you’ll be getting a 2.81″ knife blade (which should be legal in most places), Carpenter CTS-BD1 steel, and a G10 grip with stainless liner locks. The two black blades are coated with black-oxide to achieve the desired look. The CTS-BD1 blade steel is pretty close to the AUS-8 steel quality, but this particular knife performs better than AUS-8. As far as specs go, this is a knife which sits just slightly above average depending on how you value the blade steel itself. Most agree the CTS-BD1 steel is pretty close to the AUS-8, which is the poorest quality steel I buy. However, I personally disagree with this sentiment — I believe the CTS-BD1 in this knife performs at a much higher level than AUS-8. 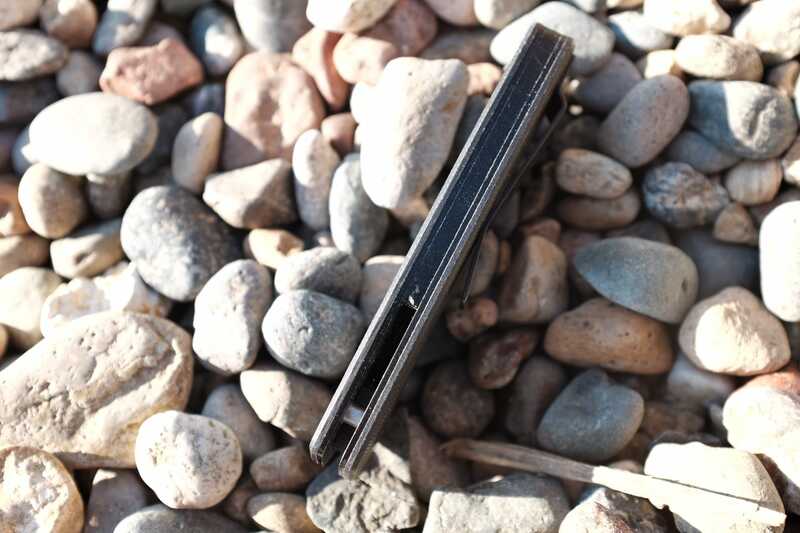 It’s not a CPM-S35VN by any means (which is currently near the high end) — it’s much softer — but the edge retention alone outshines AUS-8 in my testing. I have no qualms about this blade steel at all. CTS-BD1 is a very fast and easy steel to sharpen, but with very solid edge retention. The blade itself wasn’t quite to my liking from a sharpness perspective when delivered, but a quick run on the sharpener has left me with a blade which is going on four weeks without a touch up. (Typically I would sharpen AUS-8 every one to two weeks with average use, and an S35VN about every six to eight weeks.) It sharpens like a softer steel, but out performs softer steel as to how well it holds a sharp edge. The black oxide coating is thin and smooth, although does have some scratching and marking from other objects in my pockets. Lastly, the black oxide coating is very thin and smooth. I can see light scratching and marking happening on the surface, but so far the only worn through spot is clearly where something in my pocket was rubbing on it. 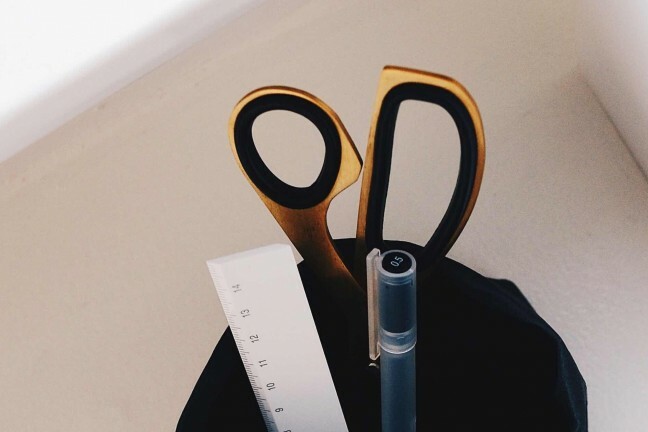 I would expect, over enough usage, the marking will wear off near the edge of the blade — but you are really going to have to use it for that to happen. On a pure specs value proposition, this is probably a $60 to $65 knife if you don’t account for the brand or the styling. And, as you might have guessed, it is the design which makes up for a lot of the price. 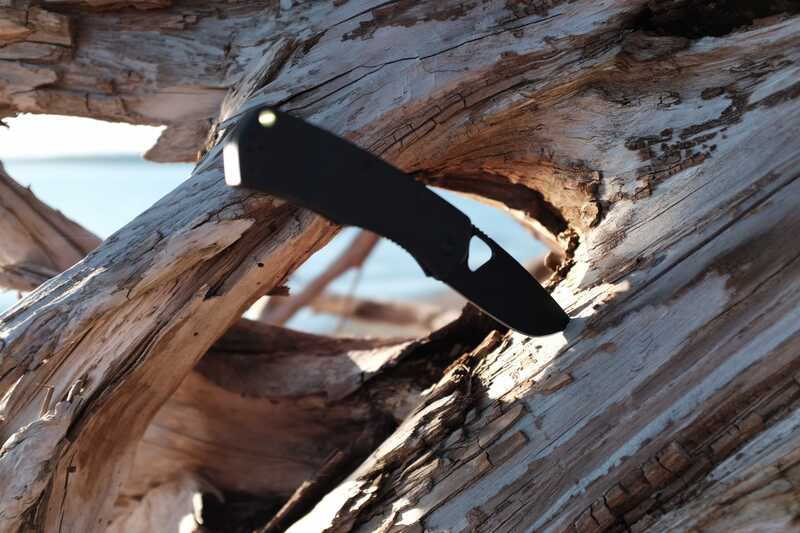 Where you gain an immense amount of value with this knife is in the design. 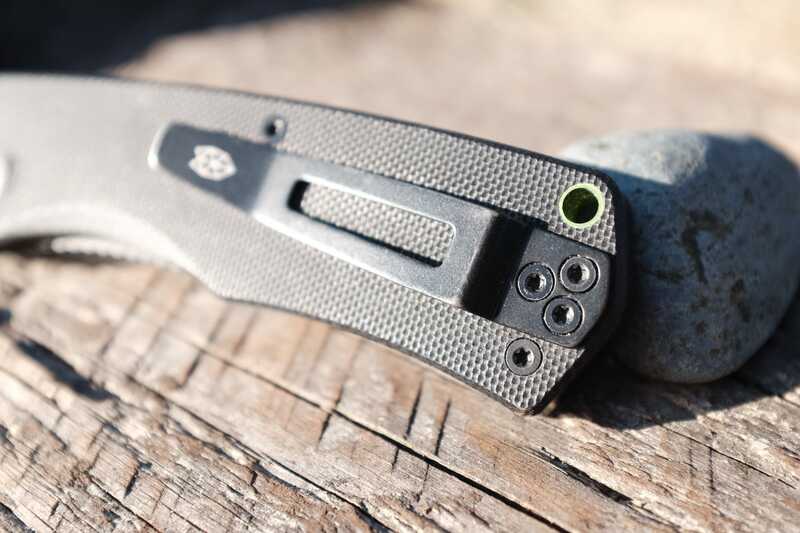 The all-black looks stellar, and the knife has no sharp edges to wear holes through your pocket. All this, plus it’s still an easy knife to use. The triangular opening thumb slot (seen in a photo above) and the green lanyard hole are the highlights of the Folsom’s design. The highlights of this design are the green anodized lanyard hole and the triangular thumb opening slot. Both give a very unique and clean look to the knife. 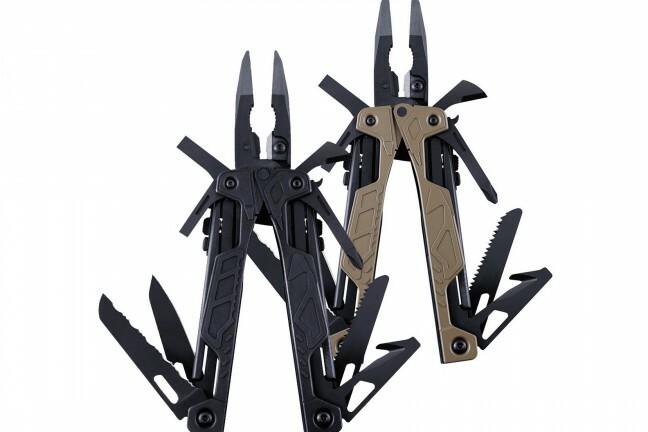 This knife also nicely walks the line between being tactical (maybe “tacticool”) and something you might see in a hipster designer’s bag dump. It’s a very modern take on the type of knife people are tending to carry these days and I am quite drawn to the design. 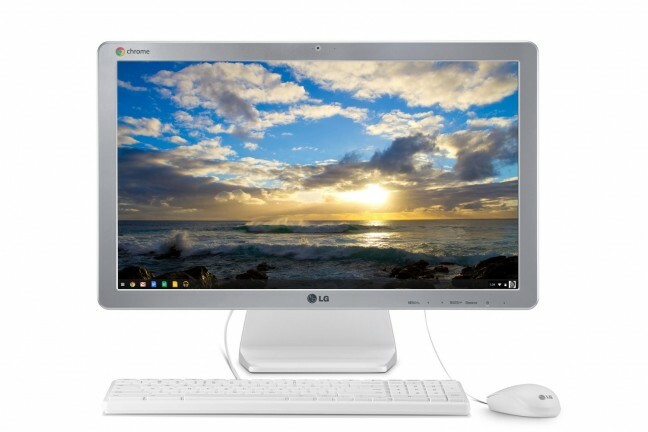 It’s simple and well designed — nothing more. The Folsom doesn’t have the classy look of the Chapter or the County. This is also the first knife from The James Brand which moves away from something you might see in a more classy setting. Instead, it’s The James Brand’s first knife which feels made to get dirty. If the Chapter is what you carry into an office, the Folsom is what you take on your day hike. It’s a knife designed to look like a tool, not a show piece. Both The James Brand knives I own require a good period of breaking-in. The opening and closing actions on this blade were very stiff out of the box. It took a good week and a half of normal use plus playing with it during calls to get the blade to feel good. I am not sure why this is — this brand of knives is the only I’ve encountered that needs this level of break-in. It is starting to drive me nuts. Unfortunately, the Folsom has a required amount of break-in time. 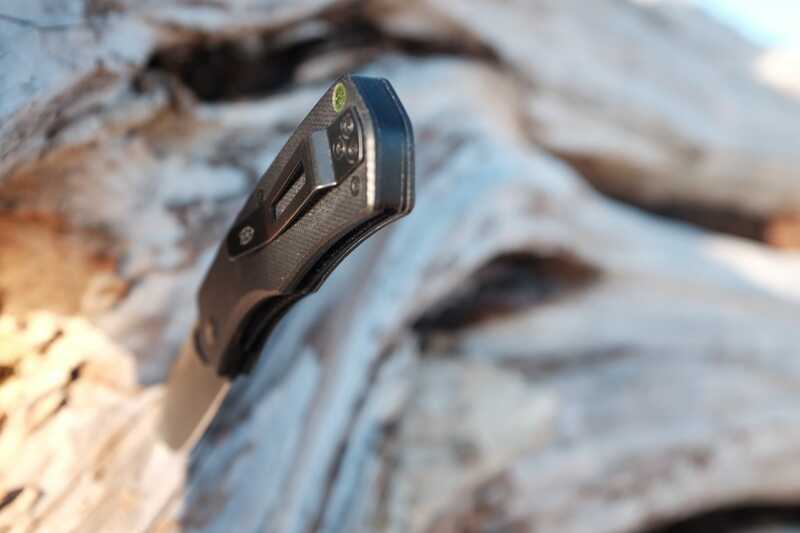 Once everything is broken in, the knife opens very smoothly with a crisp lock up. The liner lock is very solid and easy to actuate with either hand. The opening, though, is best for right handers and not lefties (like myself). The G10 scales are cut away more on the right side of the handle than on the left, making it significantly easier to open right handed. Having said that, I still feel this knife is easier to open than many other knives given the generous sizing of the thumb hole. The G10 scales themselves have a very fine texture to them, which, while subtle looking, actually provide a very solid grip. The scales are a nice balance between a handle which feels too rough and a handle which only has “grip” in appearance. I really love the feel of these G10 scales and I think they are one of the better parts of this knife. As mentioned at the top, this blade is a standard drop point design and the shape is quite versatile. The handle itself, though, slightly curves away from the blade as you follow it to the tail of the handle, and even the top of the blade is curved down towards the tip. This helps with the ergonomics of the blade and I find it quite comfortable in hand. Overall, a great shape. The Folsom’s curvature is subtle, but adds to the comfort level of the knife. The curvature is rather subtle, but adds to a more comfortable knife in the hand and in the pocket. The curvature marries nicely to the understated grip of the handle. 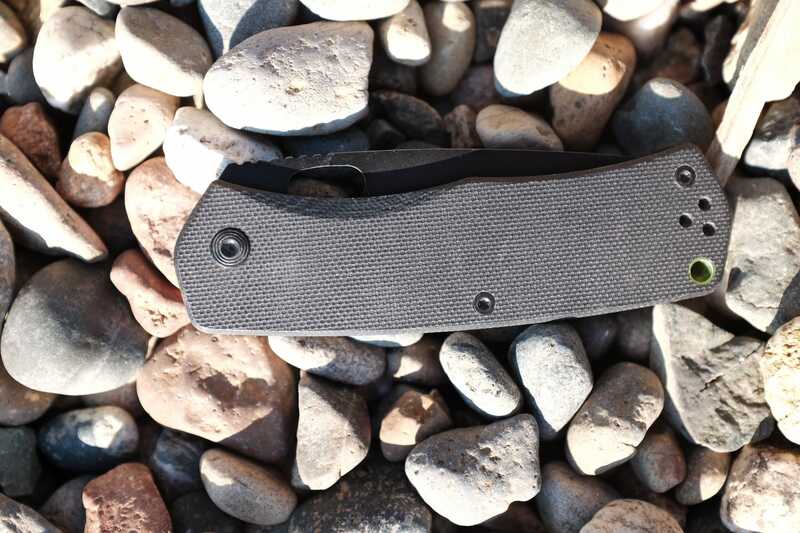 With a very smartly designed blade and great qualities, The Folsom is easily in the top ten pocket knives I own. What’s more surprising is it is in the top ten amongst knives coming in at 50% more expensive. I think a lot of people are going to find this knife to be all they need and all they want. It will look and work just as comfortable in the woods as it does breaking down boxes in the garage. 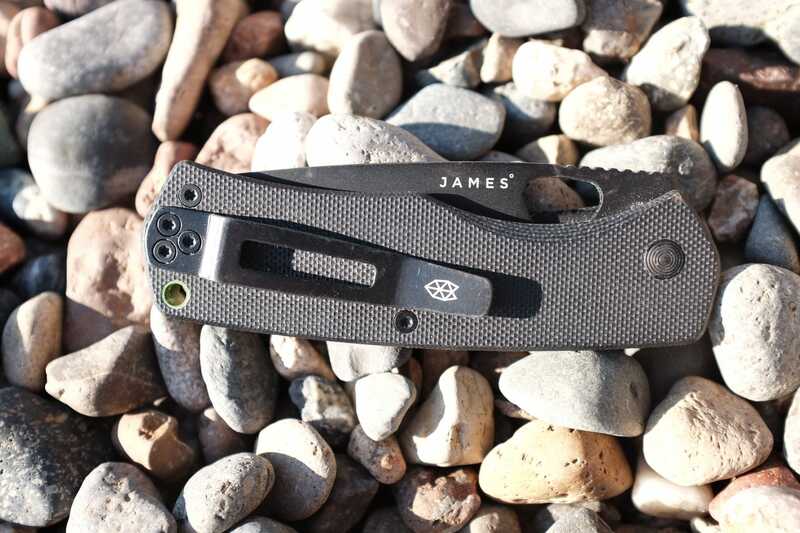 The James Brand Folsom is a great entry level knife and punches way above its price weight. Plus, it’ll keep looking good long after the coating is scratched away. Two thumbs up.